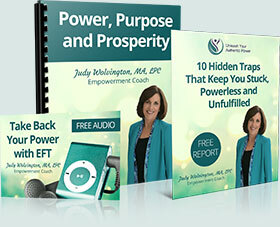 Matrix Reimprinting is an amazing tool for being able to forgive yourself. No matter what the event, how long ago it was, how devastating it was, Matrix Reimprinting can help you forgive yourself. Completely. On this podcast I will demonstrate how this works with a volunteer “client”. I will also explain how Matrix Reimprinting works and how it is changing lives for so many people around the globe. Holding on to unforgiveness is a huge drain on your personal power. It leaves you stuck and struggling, perhaps in an undercurrent of anger, resentment, sadness, and a myriad of other energy-depleting emotions.When we can’t forgive ourselves, this indicates that we are holding on to a great deal of guilt and shame about something we have said or done. This keeps us at a very low energy vibration and leads us into self-punishment. We may also end up sabotaging ourselves, holding ourselves back from enjoying life, and perpetuating a deep sense of unworthiness. 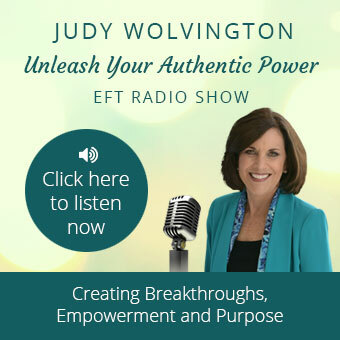 EFT is a remarkable tool for facilitating lasting forgiveness. And Matrix Reimprinting, an advanced EFT Technique, takes it even deeper and facilitates even greater healing. You will walk away from this podcast with hope in your heart that YES, you CAN forgive yourself, no matter what.